Successful businesses and stores are constantly looking for new ways to gain a competitive edge. Currently, one of the most effective ways to accomplish this is through technology. In our day-to-day lives, technology has become so commonplace that we don't even realize we're using it. Implementing iPads in your business is a great way to integrate interactive software for customers and clients to use while they engage with your product or services. Restaurants, retail stores, corporate offices and social services can all benefit from incorporating tablets into their daily business operations. Read on to discover different ways you can utilize tablets to benefit multiple aspects of your business. Have you ever gone to a local restaurant and found that there were interactive tablets installed at your table? Or visited a small boutique and saw they had tablets instead of cash registers? 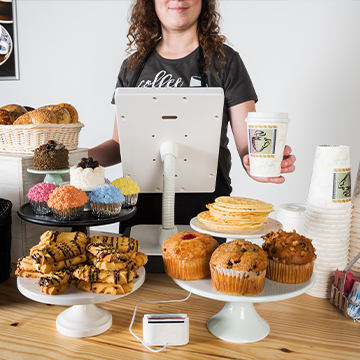 Businesses including restaurants, coffee shops, and retail stores are hopping on the POS display bandwagon. 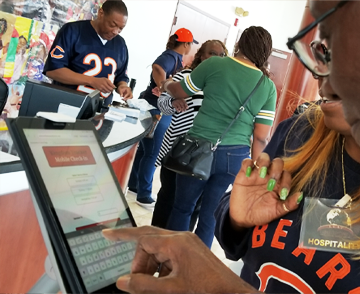 Employees and customers will have the technology at their fingertips to complete fast transactions — which is very convenient for both the business and the consumer. People will get on with their day quicker and businesses will conduct a higher number of transactions at a faster pace. Using POS checkout systems is not only convenient for customers and employees — it streamlines every facet of a business. Modern software will automatically enter all sales into a record keeping system, making management much easier. Have an e-commerce website? Platforms like Google Analytics can tie in-store data to your online data. Through tablets, businesses can now easily record and track all aspects of their business. Handwritten forms and sign up lists are becoming a thing of the past — everyone's going digital! 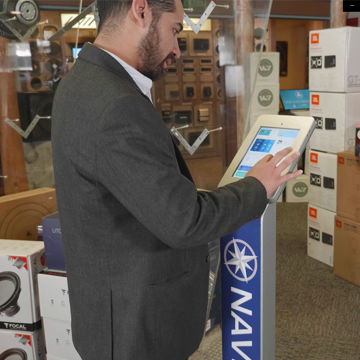 More and more businesses are beginning to integrate tablet technology to collect information from customers. Retail stores are adding email sign up lists for future offers or emailing customers paperless receipts (go green!). 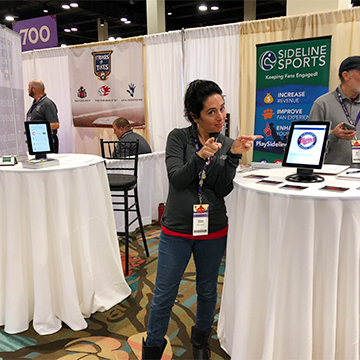 Companies at trade shows or expo events are collecting data on potential customers using tablets. Some hospitals and doctor’s offices are setting up sign-in stations where patients can fill out all the necessary forms. Information can then be uploaded directly into the office's computer system instead of having to interpret messy handwriting before punching it in. Office efficiency is greatly improving through integrating tablets into day-to-day operations. Want to show customers how that new coat of paint will look in their living room? Or different ways to style a piece of clothing? Setting up interactive catalogs or look-books gives customers a chance to investigate a product even further than they could imagine. This extra information will help give consumers that extra nudge to make a purchasing decision. Visual aids are a great way to boost conversion rates and get people interested in products that they may not have looked at before. Restaurants also use tablets to cater to their customer base. Have you ever been to a restaurant that has tablets on each table? Patrons can easily view the menu and even play interactive games while they wait for their meal. Some eateries even have interactive ordering on tablets! The overall goal of integrating tablets with consumers is to create a convenient experience for them — and it's been a successful transition. Businesses and workplaces sometimes feature an outdated computer with old software for employees to check in the building. 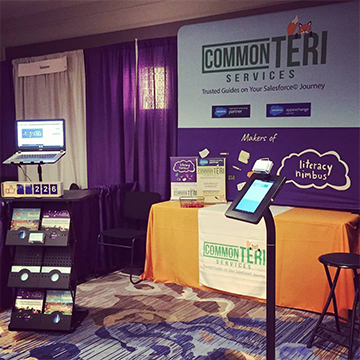 Updating to a tablet stand makes it more accessible and easier to get people through the door and accommodate software updates. Modern apps now update themselves when connected to wifi. The rapidly growing popularity of tablet use is offering businesses incredible opportunities to streamline specific aspects of their business and increase customer-product interaction. 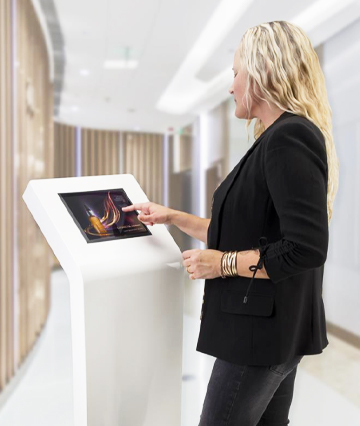 Several years ago, tablet kiosks were viewed as an “outside the box” creative way to increase business, now they are seen everywhere. Use this article as a jumping off point to figure out how to integrate tablets into your business. In today's modern office, employees are often on the move. In many cases, it's not always convenient to carry your laptop with you to meetings, appointments, and while traveling. Many companies today are making the crossover to tablets for "on-the-go" working. With tablets, employees will have the hassle-free ability to view company-related material, take notes, and share documents. Whether it's sending emails, viewing a webcast, or conducting presentations, tablets make it easier to get the job done. Tablets can also be used for collaborations — whether it's for content creation or brainstorming. Platforms like Skype or Facetime can also be used for easy and convenient communication. Employee training programs and slideshows can also be loaded onto tablets. Try setting up a "training station" where employees can go through courses and answer questions to get certified in new fields and areas of expertise. Being able to have employees learn new skills and invest in training will add value to your company.